In Hobbiton, originally uploaded by miss_rogue. When Peter Jackson’s production crew left Matamata, New Zealand, they left 17 hobbit holes on the private farm that was used as a stand-in for the Shire. 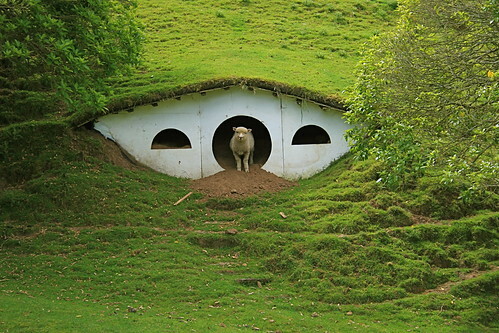 Since then, the farm’s sheep have moved in on this hobbit ghost town.